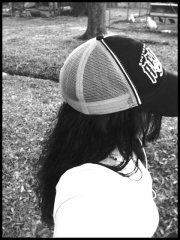 "Human girls cry when they're sad and laugh when they're happy. They have a single fixed shape rather than shifting with their whims like windblown smoke. They have their very own parents, whom they love. They don't go around stealing other girls' mothers. At least that's what Kaye thought human girls were like. She wouldn't really know. After all, she wasn't human." In the third installment of Holly Black's brilliant trilogy, she brings together her two previous novels in an amazing example of poignant literature. 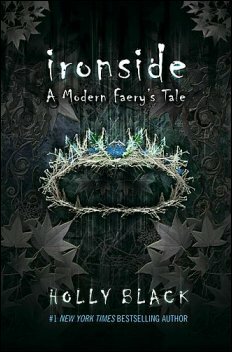 Personally my favorite and unfortunately the last, Ironside is a beautifully written novel that consists of everything from the beginning - the realm of terrifying, fantastical immortals mixed with the current backdrop of a modern New England. And as we all know, Black combines them marvelously well. Bringing back Kaye, the changeling pixie from the first book, and soon adding in Luis, a human with the gift of sight from the second, the plot takes place a short time after the end of Valiant. Living in her grandmother's home, still under her human glamor, Kaye emerges on a journey that will bring the truth to them all. In doing so, Black carries out the plot in a timely manner as she adds in old characters on the way - Luis and Dave from Valiant, Corny from Tithe and of course, Roiben, the king of the Unseelie Court, from both. All of them play a much larger role in the third novel, moving together to face the force of an unlikely villain and to eventually combine the Courts as one - a heavy duty which seems next to an impossible task. In short, this work is one worth your time and, as all of her fans are hoping, not the last to come.